Located in the countryside, 5 km from Aix-en-Provence, enjoying a quiet and a perfect privacy, this large Provencal villa is set at the end of a private road. The view is dominant, without any opposite. The living room overlooks the spacious pool (12mx6m) and sunny, and on its terrace. The garden of 5000m2 and arrangement of different terraces can enjoy, if desired, with shaded areas for dining and relaxing (hammock). 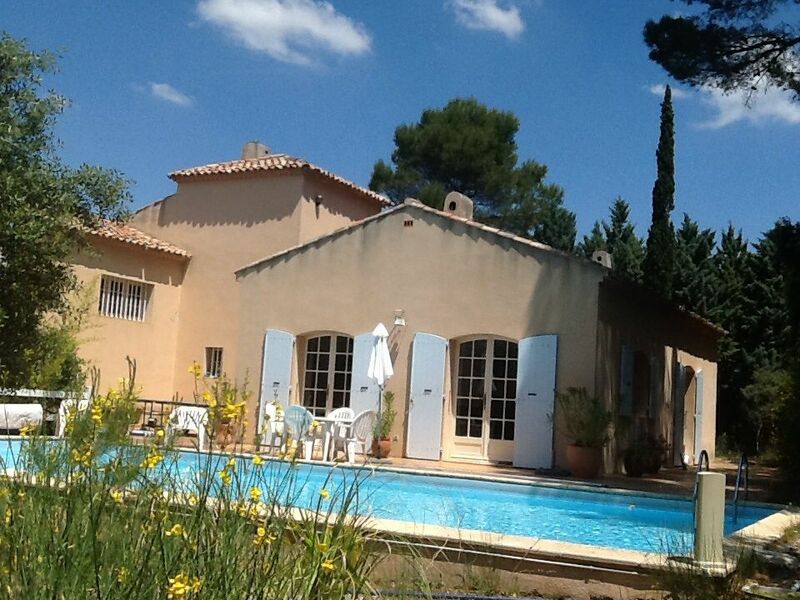 Located south of Aix-en-Provence, this green oasis welcomes few villas. You can access our beautiful Rotonde, the Cours Mirabeau and 2 Boys (center of Aix en Provence), by a country road (count 8 min).